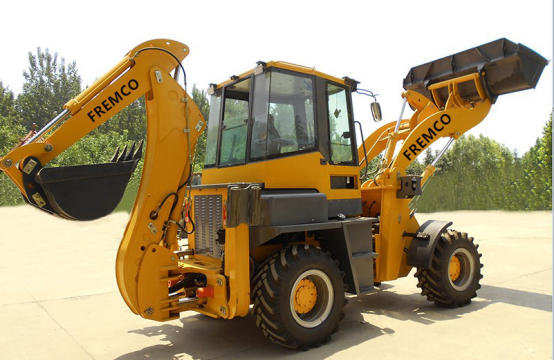 Product categories of Backhoe Loader, we are specialized manufacturers from China, Backhoe Loader, Mini Backhoe Loader suppliers/factory, wholesale high-quality products of Small Backhoe Loader R & D and manufacturing, we have the perfect after-sales service and technical support. Look forward to your cooperation! The main reason for backhoe loaders on all the construction sites is that all kinds of projects need to dig and carry mud. Many other tools can do things like this, but backhoe loaders can greatly improve efficiency. Compared with large single-function devices, such as caterpillar excavators, the excavators are compact. And they can move around on various construction sites and even run on roads. Although some small Loader and Excavator devices may be smaller than excavating loader. If the contractor should expand mining operations, and also want to start loading operation, Backhoe Loader could save a lot of time and money.